Very convenient location. Well welcomed by the staffs. The kitchen is really dirty during dinner time, so messy. The first night is not so peaceful, as there is a longterm dweller in my room drank and woke all the others up at midnight by turning on all the light and speak loudly... apart from this, the memories in this stay are pleasant! The room clips sounds loudly every time. Since there’s a bar right down, you might have drunken travelers hanging around the aisle and yelling through the midnight when you fell asleep.... The shower room is quite clean. 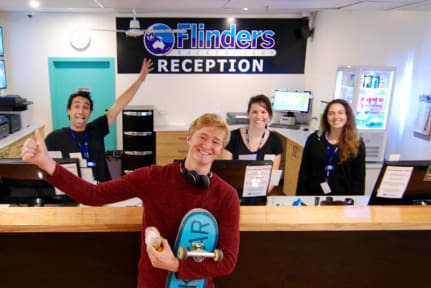 The location is convenient but more complex than YHA near southern cross station.